Rain. Snow. Sleet. Cold. Once the coziness of winter holidays passes, dark weather can weigh heavily on our psyches. However, when you retire, you have more freedom to seek and enjoy sunnier or more temperate climates. Each year, roughly 40 million Americans, or about 14 percent of the U.S. population, move at least once. And, according to population figures from the U.S. Census Bureau’s Population Estimates, the movement is largely from the Northeast and Midwest to warmer climates in Southern states. However, William Frey, demographer at the Brookings Institution, finds that though some older people may move to so-called retirement destinations, most older people prefer not to move. If you are actually interested in moving away from your home town for retirement, lower costs and more reliable weather are some of the reasons many retirees opt to relocate abroad for retirement..
…Panama: This Central American country got the top award for the 10th time in the last 29 years due to beautiful beaches, ease of gaining legal residency, low cost of living and affordable healthcare. International Living’s Retirement Index uses decades of data measuring factors from cost of living, healthcare and climate to social environment, collected from countries in five continents. Mexico: Move just next door and choose from a full range of temperate beach and colonial towns. Ecuador: Be in the middle of it all — literally, Ecuador is on the Equator — with some of the best weather on the planet. Malaysia: As a former British colony, the unofficially first language of this Asian country is English. This island has beautiful beaches and is renowned for scuba and snorkeling. Colombia: Gone are the famous drug cartels. Enjoy the hot and tropical Caribbean coast or explore the temperate mountain cities. Portugal: Rated the fourth safest country in the world, Portugal is gaining in popularity as a vacation destination as well as a retirement haven. Peru: Forget Manchu Picchu and enjoy the miles of beaches available in the South American country. Thailand: This tropical country might be far away, but it is easy to find other expats. Spain: Find warmer weather in the Southern regions and enjoy first world living standards. How About a Retirement Home for Free? The town of Sambuca on the island of Sicily is selling homes for one euro (just over a dollar). And, the only catch is that you are required to refurbish your crumbling dwelling within the next three years at a price of at least $17,200. With sun comes concerns about carcinomas and melanoma. Skin cancer is no joke. However, avoiding the sun and slathering on sunscreen may not actually be the cure all we once believed. Even more surprising are the findings of Swedish researcher, Pelle Lindqvist. Dr. Lindqvist looked at overall mortality rates of sun avoiders and sun worshipers. The results were shocking. Over the 20 years of the study, sun avoiders were twice as likely to die as sun worshippers. People with lots of sun exposure do have a higher incidence of skin cancer, but lower rates of cardiovascular and other more fatal diseases. Many retirees cite moving away from friends and family as the biggest downside of relocating in retirement. If you want warmer weather, but don’t want to permanently abandon your home and the people you love at home, sunbirding — migrating from a colder to warmer location for Winter and back again for Summer — may be the right option for you. Almost as many people who use the NewRetirement Retirement Planner plan to buy a second home as those who plan to downsize for retirement. Pros: In addition to the enjoyment a second home can offer, real estate can be an interesting investment that could possibly pay off and provide some diversification to your asset allocation. Cons: Homes are expensive. A second home can tie up your money and reduce your flexibility. It can also be expensive to maintain two residences. Use the NewRetirement Retirement Planner to assess the financial aspects of buying a second home. Can you afford it? How will it impact your long term financial health? You don’t necessarily have to invest in a second home to enjoy a sunnier locale for retirement. Renting in one location or a different place each year is another possibility. Many retirees also embrace life on the road in an RV or are embracing what is now being called the vanlife — life in a sportier RV. Not ready for a road trip? What about a boat? 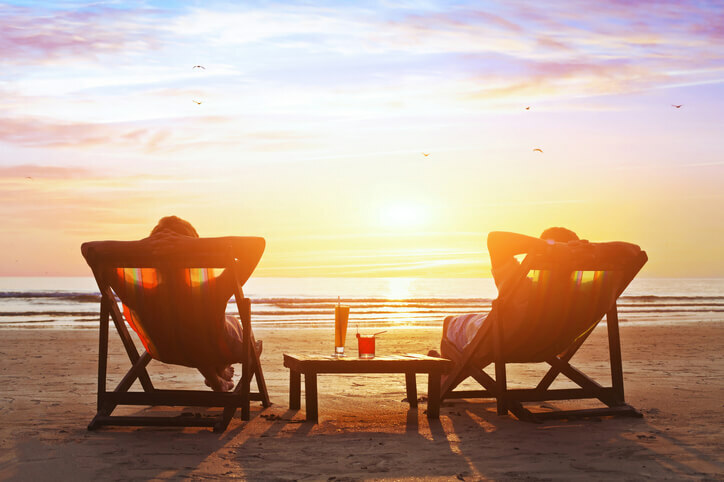 Retirement offers so many opportunities and travel is the biggest goal for most retirees. A full 75% of users of NewRetirement’s award winning retirement planning calculator mention travel as what they want to do in retirement and AARP has reported that almost all baby boomers — 99% — want to travel! Here are 20 tips for making travel after retirement plentiful, affordable and completely fulfilling. No matter what you want out of retirement, you have got to include it in your retirement plan. Use the NewRetirement Planner, rated the best online retirement resource by Forbes, AAII and many others, to achieve the best retirement plan and a secure financial future.